Cusco is one of Peru’s must-visit destinations, a stunning city with cobbled-streets, crisp air and striking architecture. 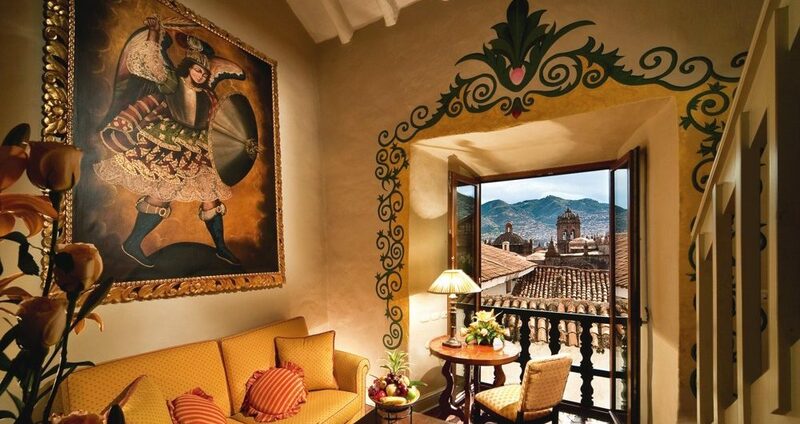 As the gateway to reach Machu Picchu, Cusco is home to some of the best luxury hotels in Peru. Here we give our cherry-picked selection of some of the best hotels in Cusco. We’ve inspected every hotel on a room-by-room level, so share Aracari’s insider info for when planning Machu Picchu luxury trips using our first-hand destination knowledge. An all-suite hotel, entry-level rooms at Belmond Palacio Nazarenas include butler service as standard. Though located literally next door to its sister property Belmond Monasterio, this five star luxury hotel is newer and more modern in style. Yet, it still harks back to a more regal past: it was formerly a Palace and convent and houses a cloistered courtyard with a fountain and its heart. One of the best hotels in Cusco, it is one of few with an outdoor swimming pool. It is also home to a relaxing spa with a wide menu of treatments. Why stay here? Sumptuous five-star service – the ultimate classic luxury hotel in Cusco. Contact us now for best rates and a tailormade itinerary staying at Belmond Palacio Nazarenas. If you like small properties teeming with history, then Inkaterra La Casona certainly doesn’t fall short. 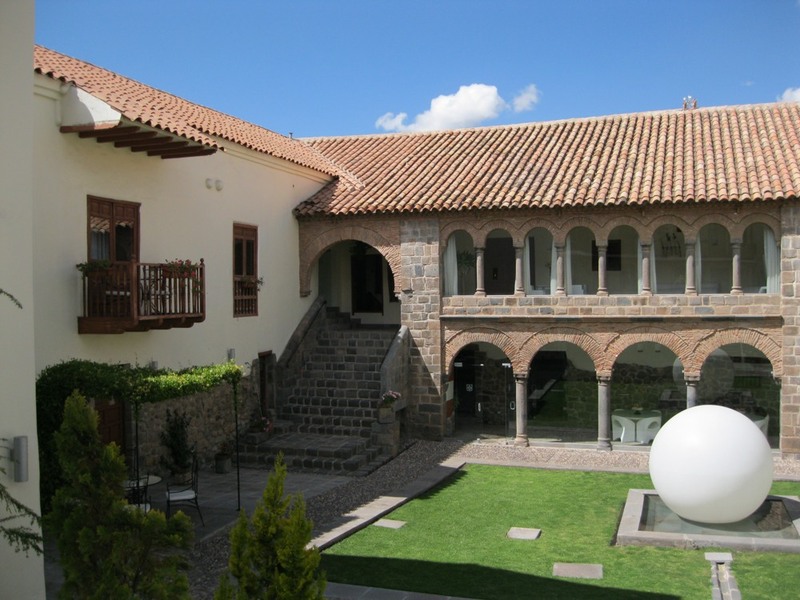 This colonial manor house was perhaps the first Spanish construction in Cusco built over an Inca complex and later occupied by the conquistadores of Peru and their descendants. There are just eleven suites around the central courtyard. The fact it gets booked up easily is testament to the fact it is one of the best hotels in Cusco. The style is very much luxury-meets-authenticity. Inkaterra La Casona is located across from the Belmond Hotel Monasterio in the Plaza de las Nazarenas next door to the Museum of Pre-Columbian Art. Why stay here? The splendid historic style – ideal for lovers of luxury that meets authenticity. Contact us now for best rates and a tailormade itinerary staying at Inkaterra La Casona. A firm Aracari favourite, Palacio Manco Capac is a charming luxe, boutique retreat nestled on a hilltop on the way to the ruins of Sacsayhuaman. This ancient republican house was built on the remains of the palace of the Inca Manco Capac and has been in use since its construction both as a personal home as well as an inn. The uphill walk to get here is easy enough to replace with a taxi, with the city’s central Plaza a mere ten minute stroll when heading down. The advantage to its positioning is the fabulous panoramic views it affords over the city, with are impressive day and night. Palacio Manco Capac has just twelve rooms so offers an intimate, boutique experience and undoubtedly one of the best hotels in Cusco. Don’t expect the frills of a luxury five-star like a spa, but do expect a warm welcome. There’s an on-site farm used to make fresh meals and they can arrange BBQ picnics and private events. We also recommend renting Palacio Manco Capac out for those looking for unique private villas. Why stay here? 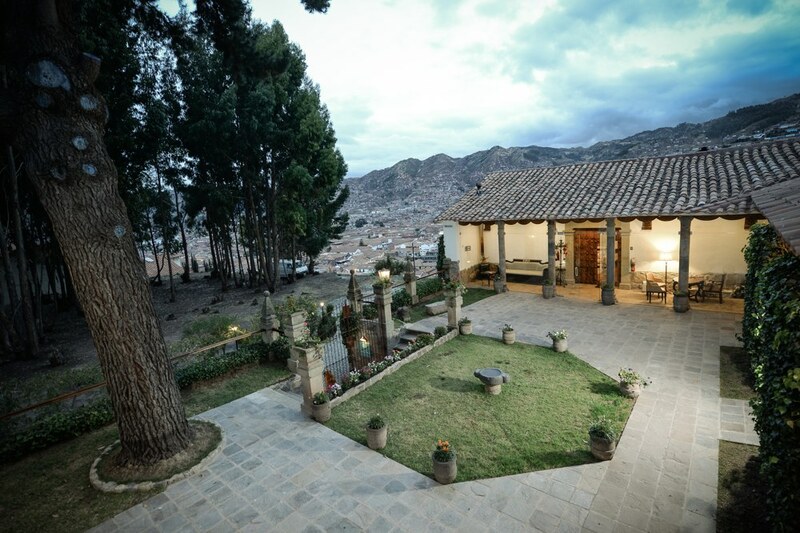 Boutique intimacy and breathtaking views over Cusco. Contact us now for best rates and a tailormade itinerary staying at Palacio Manco Capac. Another of the best hotels in Cusco, luxury hotel Casa Cartagena is one-of-a-kind. Housed in a colonial mansion, the property seamlessly blends its traditional heritage on the outside with swish, Italian-influenced minimalist decor on the insider. Rooms are sophisticated and contemporary. he hotel is located in the quiet Plazoleta Nazarenas, alongside some of the other best hotels in Cusco, such as Inkaterra La Casona, and Belmond Palacio Nazarenas. 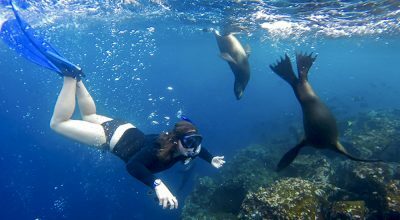 In total Casa Cartagena offers 15 spacious oxygen-enriched suites. Why stay here? To enjoy the best of a blend of contemporary design and Cusqueña heritage. Contact us now for best rates and a tailormade itinerary staying at Casa Cartagena. While many JW Marriott properties elsewhere in the world may have a lot in common with each other, JW Marriott El Convento Cusco manages to stand out thanks to its sublime architectural design. The lobby entrance hides the scale of this large property – 153 rooms and suites in total: when you reach inside the large courtyard of the restored 16-century convent is revealed. The physical strucutre recalls the five-star luxury of Belmond Monasterio, though the decor is markedly different. At JW Marriott, rooms are fresh and modern. It offers al the amenities you’d expect of the luxury hotel chain: marble bathrooms, spa facilities with indoor pool, and excellent dining. Why stay here? Reliable luxury comfort in a historic setting. Contact us now for best rates and a tailormade itinerary staying at JW Marriott El Convento Cusco. Contact us now for best rates and a tailormade itinerary staying at Luxury Collection Palacio del Inka. The Belmond Hotel Monasterio is one of the most important Colonial buildings in Cusco, and many say the most beautiful hotel in all of Peru. Proclaimed a National Heritage Site in 1975, the hotel occupies the San Antonio Abad Monastery, built during the late 17th and early 18th centuries. The building is so special in fact that we offer our guests a special guided visit with a colonial art specialist, just one of our insider experiences in Peru. It is visually impressive and incorporates its remarkable historic past into its design: rooms are adorned with colonial paintings and antiques. 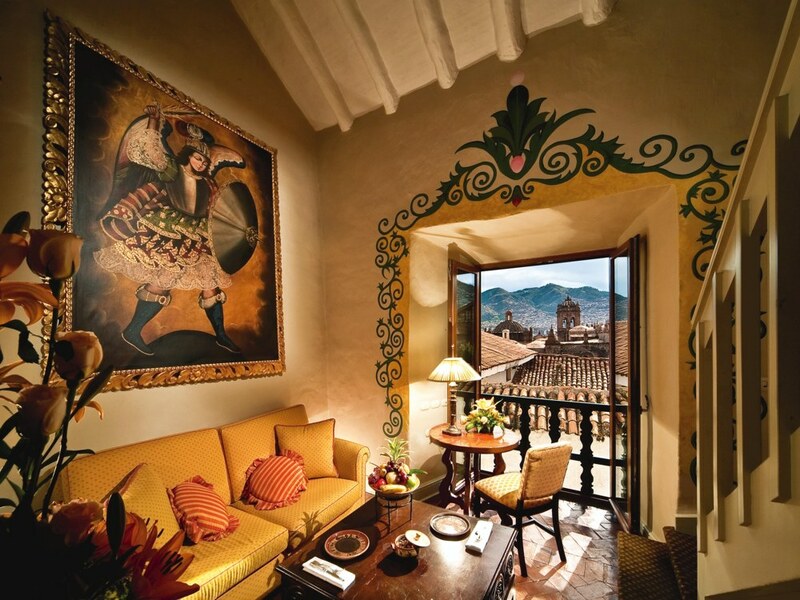 When looking for the best hotels in Cusco, Belmond Hotel Monasterio offers an unmistakeable sense of place. Why stay here? To soak up the incredible Colonial art and stay in a historically important building. Contact us now for best rates and a tailormade itinerary staying at Belmond Hotel Monasterio. Decorated by artist Jordi Puig this former farmer’s market offers a trendy hotel experience for travelers in Cusco who want an affordable option of a very high standard. The 27 spacious rooms at El Mercado are beautifully decorated, with views of the city, and each of the 5 suites has its own bathtub and fireplace. All rooms have Wi-Fi and for the chilly Cusco mornings, the walls and floors of the bedrooms are heated using an ecological water circulation system that does not consume any energy. Why stay here? To stay comfortable and stylish in a hip hotel. Contact us now for best rates and a tailormade itinerary staying at El Mercado. Abittare – affordable, well-presented boutique. Their top level suite is directly facing Koricancha and great value for the ample size. Tocuyeros Boutique Hotel – charming boutique hotel with panoramic city views. Antigua Casona San Blas – historic mansion lovingly renovated into a quaint hotel in a great location. Lots of hand-crafted, locally-made details. Cusco was considered the navel of the earth, the capital of Tahuantinsuyo or the Inca Empire – an empire that at its peak spanned north to the south of Colombia, south to northern Chile and Argentina, and west across the Andes to the Amazon basin. The Incas were outstanding stonemasons and town planners which can still be noted today admiring the walls that serve as foundations to colonial buildings. Cusco is home to a wonderful selection of stunning places of interest, many of which can be visited on foot, concentrated in the cobbled, historic city centre. General sites of interest include: the Cathedral, Coricancha, Sacsayhuaman, Tambomachay, Q’enko, Puca Pucara, La Compania Jesuit Church, La Merced Convent, San Francisco Convent, Inka Museum, Pre-Columbian Art Museum and the Centre for Traditional Textiles. After your visits, simply relax in the best hotels in Cusco or enjoy the wide variety of dining options. 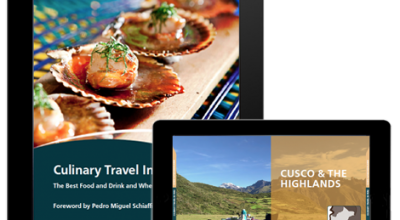 For restaurant recommendations, download our free ebook: Culinary Travel in Peru. The best luxury hotels in Machu Picchu listed above can be booked as part of any tailormade luxury travel Peru itinerary with Aracari. 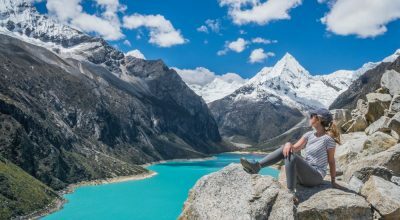 Take a look now at our eight-day Classic Luxury Peru itinerary, taking in the key highlights of Machu Picchu, Lima, Cusco and the Sacred Valley. Looking for more luxury hotels in Peru? 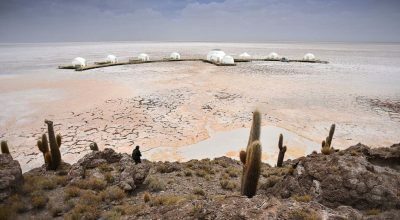 Then we invite you to check out our top accommodation picks across Peru.